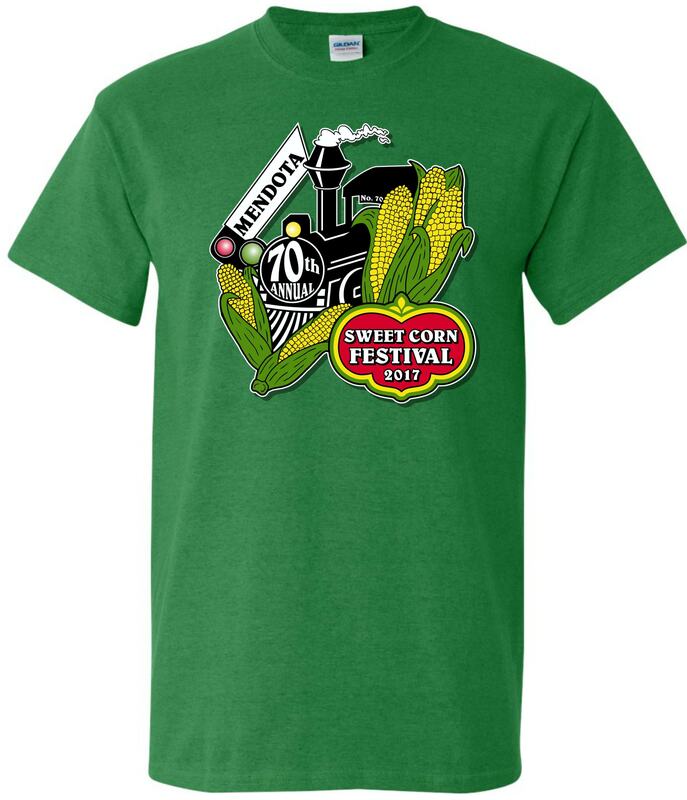 Due to the high demand of our 2017 Mendota Sweet Corn Festival T-shirts, we will be placing another order for anyone that would still like one. 1. In the left column below, you can choose to pay for the shirt and come pick it up at the chamber office when the shirts arrive. 2. In the right column below, you can choose to pay for the shirt and shipping. We will mail your shirt order to you when your shirts arrive. 2. If you would like us to mail you your order, please make checks in the amount of: $15 per youth shirt and $20 per adult shirt. 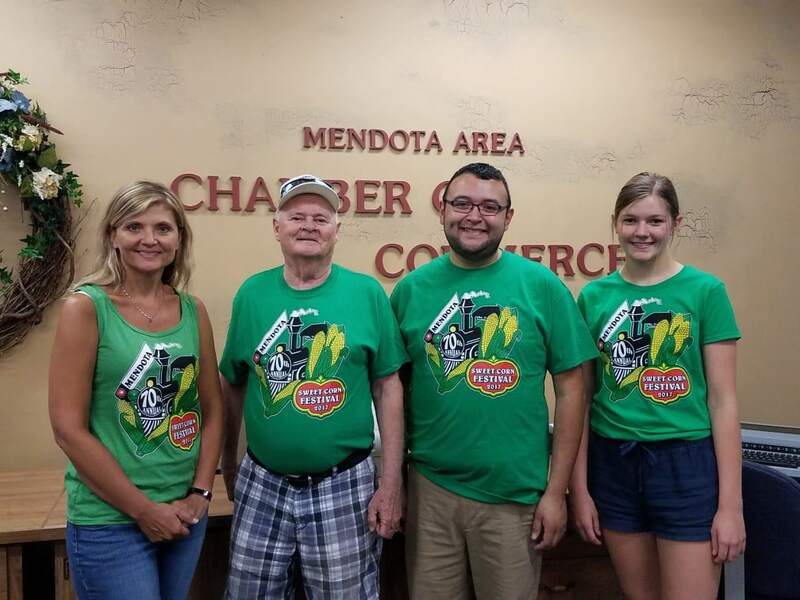 You will need to include the quantity of each size shirt, your check or money order made payable to: Mendota Area Chamber of Commerce, and include the shipping address if need your order shipped.